A long-awaited ruling issued Monday by the Colorado Supreme Court sends Aurora back to court to discern exactly how much water the municipality can divert from the headwaters of the Fryingpan River through the Busk-Ivanhoe Tunnel under Hagerman Pass. And the ruling clarifies that transmountain water rights under the Continental Divide in Colorado do not automatically come with a right to store water in a reservoir, anymore than other water rights do. Aurora had argued there had always been an implied right in its decree to store water from the Fryingpan headwaters in Turquoise Reservoir. But the court didn’t agree. As might be expected, Aurora officials were less pleased. “The city is disappointed with [Monday’s] supreme court opinion reversing the trial court’s earlier decision,” said an Aurora representative in a statement. “The city regrets the departure from what it believed to be settled law regarding use of transbasin waters. One possible next step is for Aurora to file a petition within 14 days for the supreme court to rehear the case. If Aurora does not petition for a rehearing, the case will be sent back to water court in Pueblo for a recalculation of how much water Aurora is allowed to divert via the Busk-Ivanhoe Tunnel for municipal purposes, instead of for irrigation purposes. The supreme court said the new calculation should include the 22 years from 1987 to 2009 when Aurora used the water for municipal purposes without a decreed right to do so. And by factoring in those 22 years of “zero use,” the new calculation is expected to lower the amount of water the Front Range city can divert from the Fryingpan in the future. Another aspect of the ruling could also reduce the size of Aurora’s water right, as the court found that much of the water diverted through the Busk-Ivanhoe Tunnel since 1928 had been stored without a decreed right to do so. 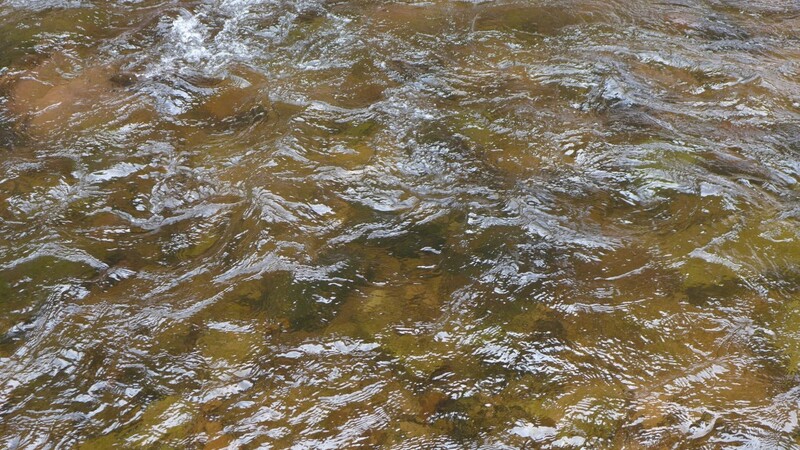 “Because undecreed storage of a direct flow water right may amount to an expansion of that right, any expansion of the Busk-Ivanhoe water rights resulting from the unlawful storage of those rights on the eastern slope cannot be included in an historic consumptive use analysis,” the ruling stated. The court also suggested that harm may have been caused to junior water rights owners on the Western Slope by undecreed diversion and storage of the Busk-Ivanhoe water. 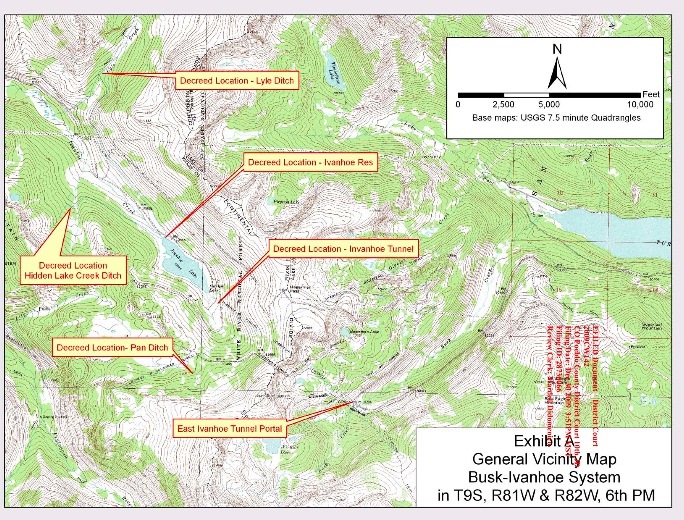 A map of the Busk-Ivanhoe system, with Ivanhoe Reservoir on the left side of the map and Turquoise Reservoir on the right. Pitkin County has been opposing Aurora in the case since 2009 and has now spent $353,000 in the process. In addition to the relatively small level of diversions through the Busk-Ivanhoe Tunnel by Aurora and Pueblo, significant amounts of water are diverted off the top of the Fryingpan and Roaring Fork rivers to the Front Range as part of the larger Fry-Ark and Twin Lakes projects. Aurora still has a valid water right from 1928 to divert 2,416 acre-feet of water through the tunnel for irrigation uses in the Arkansas River basin. But officials now want to use the same water for municipal purposes in Aurora, which is in the South Platte River basin. And when the growing Front Range city came into the court in 2009 seeking a change to its water right, it admitted it was already using the Fryingpan water for municipal purposes without a decreed right to do so, and had been doing so since 1987. However, Aurora told the court that that fact should not count against it in its change case. 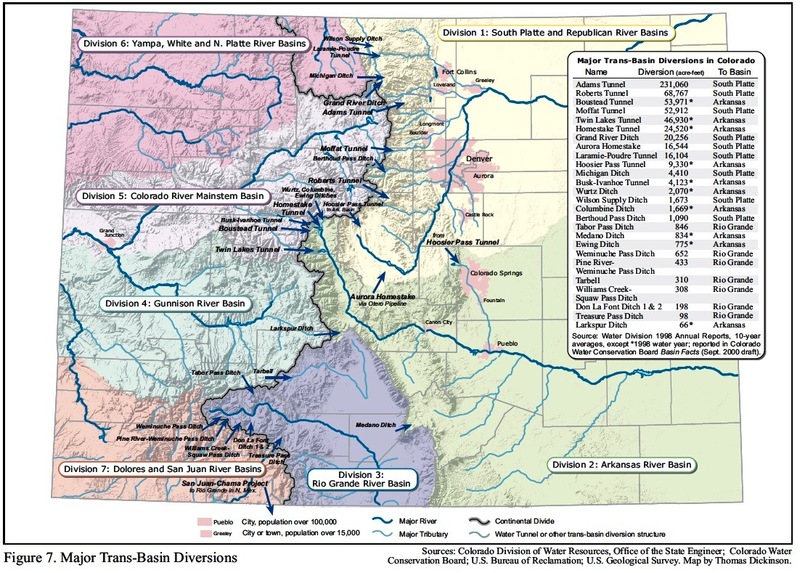 It also said it shouldn’t matter to the Western Slope how it used its water once it was sent under the Continental Divide, including if the water was stored in an East Slope reservoir or not. A judge in Division 2 water court in Pueblo agreed with Aurora and ruled in its favor in August 2014. That decision was appealed by a list of Western Slope interests directly to the supreme court, which issued its opinion on Dec. 6, 2016. Both the broad ruling, that storage is not an inherent right for transmountain diversions, and the narrow ruling, that Aurora needs to recalculate its historic consumptive use, were welcome news for Western Slope water interests. “The reason our clients stayed involved is [that] from the get-go, Aurora was asserting some untenable legal positions that seemed to rely in large part on the concept that, ‘Well, we’re a transmountain diverter, so we look at things differently,’” said Kirsten Kurath, an attorney in Grand Junction. She represented the Grand Valley Water Users Association, the Orchard Mesa Irrigation District, and the Ute Water Conservancy Districts in the case. The other Western Slope parties in the supreme court case were Eagle and Grand counties and the Basalt Water Conservancy District. The Colorado state engineer, and engineers in Divisions 1 and 5, were also in the case, and had sided with the arguments made by the Western Slope. On the Front Range side of the arguments were Aurora, Colorado Springs, Denver Water, Pueblo Board of Water Works, Greeley, Northern Water, Southeastern Water Conservancy District, Twin Lakes Reservoir and Canal Co., Lower Arkansas Valley Water Conservancy District, Busk-Ivanhoe Inc., Cache La Poudre Water Users Association, and the city of Northglenn. This graphic shows the transmountain diversions in Colorado. The Bousted Tunnel, at 53,871 AF, the Twin Lakes Tunnel, at 46,930 AF, and the Busk-Ivanhoe Tunnel, at 4,123 AF, have taken (in this data set) a combined average of 105,024 AF a year from the top of the Roaring Fork and Fryingpan rivers headwaters. Editor’s note: Aspen Journalism and the Aspen Daily News are collaborating on the coverage of rivers and water. The Aspen Daily News published this story on Wednesday, Dec. 7, 2016.